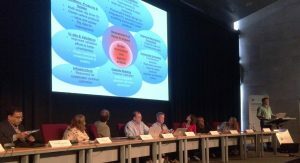 Ocean colour scientists and representatives from various space agencies around the world met in Lisbon, Portugal, in May 2017 for the successful third International Ocean Colour Science (IOCS-2017) meeting. The goal of the meeting was to improve communication between research scientists and space agency representatives, and to advance ocean colour radiometry research. The meeting, hosted by the International Ocean Colour Coordinating Group (IOCCG), informed participants about cutting edge research as well as agency mission plans, and participants collectively agreed upon requirements for sustained OC research and operations through the format of breakout workshops, which focussed on the impact of new research avenues and provided advice for future action. Read the full report of the meeting in the Proceedings of the 2017 IOCS Meeting, which includes keynote abstracts, agency reports and recommendations from the breakout workshops. All speaker presentations and poster abstracts are also available on the IOCS-2017 meeting website. We are pleased to announce that the IOCS-2019 meeting will be hosted by KIOST (Korea Institute of Ocean Science and Technology) and will take place in May/June 2019, in Busan, South Korea. Recommendations from the scientific community are critical for helping agencies to meet user needs, and many agencies as well as the IOCCG, have implemented concrete actions based upon recommendations from previous IOCS meetings. For example, at the IOCS-2013 meeting, it was recommended that “In situ measurement protocols should not be revised by a single investigator but through an international community effort spanning multiple universities and space agencies e.g., under the IOCCG umbrella”. Subsequently, the IOCCG has agreed to publish a series of technical reports which will include peer-reviewed Ocean Optics & Biogeochemistry Protocols for Satellite Ocean Colour Sensor Validation, vetted by and for the international community. Newly drafted protocols (from NASA-sponsored international workshops) will be made available to the international user community via a dedicated IOCCG webpage for a period of time for testing, public comment and review, before they are accepted as international reference standards. It is anticipated that the first document “Inherent Optical Property Measurements and Protocols: Absorption Coefficient” will be available for comment in the coming months via the IOCCG website. Another example is the recommendation from IOCS-2013 for the establishment of “A permanent calibration task force to share expertise and information on instrument calibration and characterization. It should be supported by space agencies and should have close interaction with the extended ocean-colour community. It could be established either under the CEOS-IVOS framework, or the IOCCG/INSITU-OCR”. To this end, a semi-permanent task force on Ocean Colour Satellite Sensor Calibration was established by the IOCCG to facilitate collaboration among calibration experts in order to maximize the accuracy and temporal /spatial stability of OCR records from individual missions. Lastly, the interest from the community for Hyperspectral Remote Sensing at IOCS-2015 in San Francisco, led the Canadian Space Agency (CSA) to assess the feasibility of a hyperspectral payload to better understand the complex interactions and processes in the coastal and inland waters. Since, a sensor concept for a 100 m GSD and 1.5 nm SSI (binned to 5 nm) has been developed while synergy with the NASA-PACE mission was investigated. A prototype will be built over the next 18 months to demonstrate instrument-level performances. Meetings such as IOCS-2017 thus provide a critical forum for discussion between space agency representatives and research scientists that can ultimately lead to better science and user needs. The IOCCG provided small scholarships for several students to help cover some of their travel expenses to attend the 2017-IOCS meeting. We are very grateful for their assistance during the meeting. Other scholarships were provided by the Copernicus Programme, the European Union Joint Research Centre, and the Ocean Carbon & Biogeochemistry (OCB) Program which are gratefully acknowledged (see feedback from OCB-supported students here). Polina Lobanova is an assistant lecturer in the Department of Oceanology (Saint-Petersburg State University, Russia) about to defend her PhD thesis this year, on validation of satellite-derived primary production models. Three years ago she had an internship course at Lisbon University so it was great to come back to Lisbon and take part in the IOCS-2017 meeting. “The Symposium gave me chance to meet with my colleagues, to discuss our future scientific plans, to meet new ones, to feel how it is to be involved into society to which I belong. It is very important for me! I also liked the organization of the Symposium, especially our Wednesday dinner in the wonderful place in the very heart of Lisbon”. 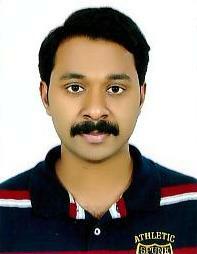 Vishnu P S is pursuing his PhD at Cochin University of Science and Technology (Kerala, India). His PhD research topic includes characterizing bio-optical properties of the South Eastern Arabian Sea ecosystem. The ultimate focus of his research is to validate the Oceansat-2 and other ocean colour data with in-situ data from the area for the development of regional Chl-a retrieval algorithms. 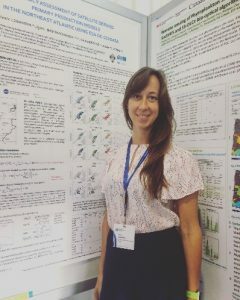 “As a research scholar with an interest in ocean colour remote sensing, the IOCS meeting was a very unique experience for me. I had the opportunity to discuss with various scientists coming from different institutions in the world. I am positive that by virtue of this exposure, I will be able to pursue my PhD in a more competent and productive way than before”. 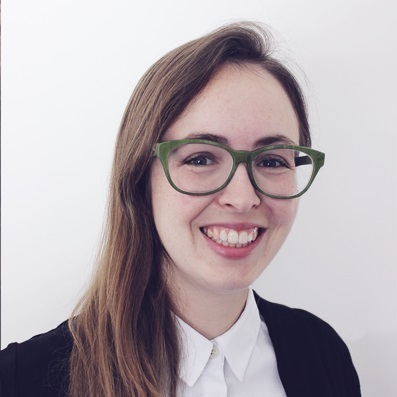 Aline de Matos Valerio is a PhD student at the National Institute for Space Research (INPE), Brazil. 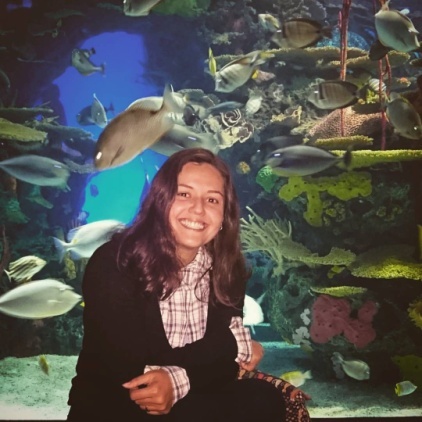 Her research is focused on the bio-optical properties of the Amazon River at the Lower Amazon region, and she is very interested in the comprehension of the carbon cycle at this region and the retrieval of CDOM by remote sensing. “Attending the IOCS-2017 was a great opportunity to discuss my study with experienced researchers in turbid and/or inland waters and learn with them. Further, I am very grateful because it was really a lifetime experience to participate in the workshops, listen the keynote speakers and the future plans of the satellite agencies”. 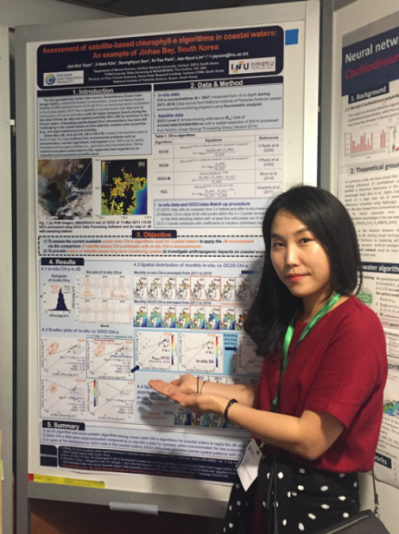 Joo-Eun Yoon is a PhD student at Incheon National University, Korea, interested in understanding the long-term variations in phytoplankton in the North Pacific and major environmental factors that cause these variations using remote sensing and in situ data. ”Attending IOCS-2017 meeting was a great opportunity to expand my understanding of high spatial resolution ocean colour data, to present my present research, and to get a lot of useful feedback from ocean colour experts. IOCS also allowed me to network with a number of young scientist and experts. I hope that I can collaborate with them”. 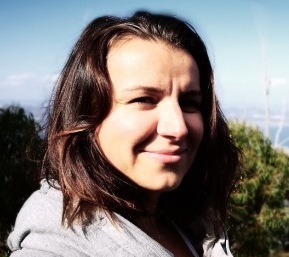 Monika Soja-Wozniak is a post-doc in the Coastal Environmental Modelling Team at CSIRO, Oceans & Atmosphere located in Hobart, TAS, Australia. She focuses on biogeochemical modelling and ocean colour observations of Great Barrier Reef region. “The IOCS-2017 meeting was a great opportunity to learn about the most recent studies related to ocean colour. It gave me the possibility to exchange ideas and opinions with other scientists from the OC community”. The launch of the Japan Aerospace Exploration Agency (JAXA) GCOM-C mission (Global Change Observation Mission – Climate), carrying the SGLI ocean colour sensor, is scheduled for the end of the Japanese fiscal 2017. The GOCM-C satellite has already undergone mechanical and environmental testing (sinusoidal vibration and acoustics) at the JAXA Tsukuba Space Center, to determine if spacecraft structure, payload, and other hardware can withstand the rigorous shock and sound pressures encountered during ascent. The testing was conducted in March and April, 2017 and came to a successful completion. The next step is for the GCOM-C satellite to undergo electrical testing to determine if the satellite systems can withstand the environmental testing. JAXA recently held a month-long competition for the public to come up with a nickname for the Global Change Observation Mission – Climate (GCOM-C). After careful examination of almost 13,000 responses, the very appropriate name “SHIKISAI”, was chosen, meaning colours in Japanese. This autumn, EUMETSAT will re-run its Monitoring the Oceans from Space massive open online course (MOOC). The MOOC, which attracted more than 5,500 participants on its first run last year, gives an introduction to the benefits and potential uses of satellite-based ocean observations collected in the framework of the EU Copernicus Programme. It explains how to access and use marine Earth observation data and information from Copernicus/EUMETSAT missions and also the Copernicus Marine Environment Monitoring Service. It also includes dedicated sections on ocean colour data including example applications. Funded by the EU’s Copernicus Programme, the course will run entirely online over five weeks with three hours of study a week involving an interactive mix of videos, written information and exercises. The course is now open for registrations on the FutureLearn website (https://www.futurelearn.com/courses/oceans-from-space) and will officially start on 16 October 2017. On 5 July 2017 EUMETSAT released the Copernicus Sentinel-3A Ocean and Land Colour Instrument (OLCI) Level-2 ocean colour and land products to the public. This much anticipated release offers current and prospective users many opportunities for applications based on EUMETSAT’s integrated marine data stream. 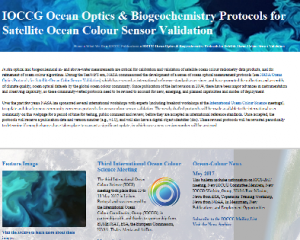 The Product Notice for the public release of Sentinel-3 OLCI Level-2 ocean colour products describes the OLCI current processing baseline and ocean colour products, their quality, limitations, and product availability. It also provides guidance on the use of the products, including the use of flags to mask cloudy or unreliable pixels. The products are distributed at Full Resolution (FR) and Reduced Resolution (RR) at Near Real Time (NRT) and Non-Time Critical (NTC) timeliness. See EUMETSAT website for full article. 3. Development, Incorporation and Analysis of Data Assimilation Experiments and Models. General information about the EXPORTS field campaign program is available at https://cce.nasa.gov/ocean_biology_biogeochemistry/exports. Further information concerning the measurement suite supported by NASA and potential berthing opportunities on the EXPORTS Northeast Pacific Ocean field campaign will be provided at above website shortly. An open competition for Phase II of the EXPORTS program is anticipated in the 2020 timeframe. Please direct any questions to Paula Bontempi (paula.bontempi@nasa.gov) or Laura Lorenzoni (laura.lorenzoni@nasa.gov). NASA’s Plankton, Aerosol, Cloud, ocean Ecosystem (PACE) mission has two fundamental science goals: (i) To extend key systematic ocean colour, aerosol, & cloud climate data records, and (ii) To address new & emerging science questions using its advanced capabilities. A comprehensive and detailed account of the science objectives, measurements, and mission requirements can be found in the report from the PACE Science Definition Team (SDT Report, 2012). PACE successfully went through the Key Decision Point B (KDP-B) review in mid-July and is now officially in Phase B. 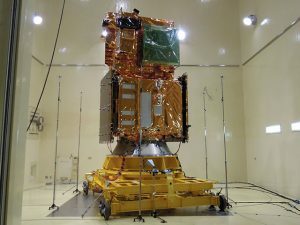 In a test as part of Sentinel-2B’s commissioning, the satellite linked up to the geostationary Alphasat by laser, across almost 36 000 km of space, to deliver images of Earth just moments after they were captured. Many of the Sentinel-2B applications rely on imaging the same area in quick succession – this is where the satellites’ lasers come in, complementing the standard ground station network. The two Copernicus Sentinel-2 satellites circle on opposite sides of Earth, transmitting data to Earth routinely, but only when they pass over their ground stations in Europe. 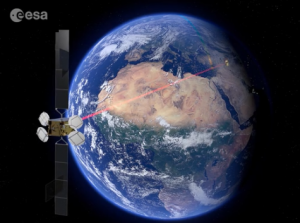 The Sentinel-2 satellites are equipped with terminals to transmit data by laser to satellites in geostationary orbit, such as Alphasat and the European Data Relay System (EDRS), which fly at 36,000 km above Earth and have their ground stations in permanent view, so they can immediately transmit the Sentinel-2 data to the ground. Once the commissioning is over, Sentinel-2B will be able to downlink huge amounts of data in a matter of moments via the EDRS ‘SpaceDataHighway’, which is the world’s first optical satellite communication network in geostationary orbit, allowing users to access large volumes of data extremely quickly for services that improve daily lives and protect the environment. Registration is now open and agenda has been posted for the 2017 NOAA Center for Satellite Applications and Research (STAR) and the Joint Polar Satellite System Annual Science Meeting, to be held 14-18 August 2017 at the NOAA Center for Weather and Climate Prediction Center in College Park, MD, USA. A full day breakout session for VIIRS Ocean Color will be on Wednesday, 16 August, 2017. This meeting is free and open. Attend in person, or remote access via WebEx. 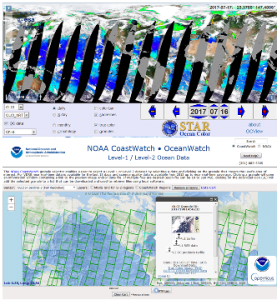 With the release of EUMETSAT OLCI level-2 marine data last week, OLCI data products are viewable on NOAA OCView. And OLCI data files can be accessed through NOAA CoastWatch/OceanWatch. Through formal arrangements with the European Commission and EUMETSAT, NOAA is the primary distributor of Sentinel-3 marine data in the US. NOAA and the University of Maryland co-hosted the 3rd GEO Blue Planet Symposium, “The Role of the Oceans in Earth’s Life-Support System” 31 May to 2 June, 2017 in College Park, Maryland, US. The symposium focused on societal information needs resulting from the important role the oceans play in Earth’s life-support system and the challenge of minimizing the impacts of human activities on the oceans while utilizing the resources of the oceans to meet our needs. Participants exchanged information on their activities and identified potential pilot and prototype projects for GEO Blue Planet. A summary of the meeting outcomes and link to presentations can be found here and a report of the meeting will be completed soon. Dr. Paul DiGiacomo of NOAA is primary chair of session #CD001: Advancing Water Quality Monitoring and Forecasting in Coastal and Inland Waters (see session description below) at the 2018 Ocean Sciences Meeting, 11-16 February 2018, Portland, Oregon, USA. Paul will also present a Tutorial Lecture #T005: “Oceanography from space for everyone: Demystifying satellite data for researchers and end-users”. The 2018 Ocean Sciences Meeting will take place from 11-16 February 2018 in Portland, Oregon, USA. Abstract submission is now open for the various sessions (deadline 6 September 2017). The sessions below may be of interest to ocean colour scientists. 1) Lidar-based Estimation of the Surface and Vertical Ocean Physical, Optical and Bigeochemical Properties (Chairs: Cédric Jamet, Chris Hostetler, James Churnside). Active remote sensing of global ocean physical, optical and biogeochemical properties presents an unprecedented new opportunity for overcoming some of the major limitations of passive data that have challenged the community for decades. For instance, passive remote sensing of ocean colour observations have revolutionized our understanding of global plankton ecosystems. Passive remote sensors can provide multi-spectral retrievals with many advantages: multiple wavelength bands, good spatial resolution (300-1000 meters) and high temporal repetitive cycles (~2 days). However, the passive signal is limited to the very near surface layer, provides no information on the vertical structure, is extremely limited in polar regions, suffers from cloud cover and absorbing aerosols, and provides no information on day-night changes in plankton properties. Satellite active remote sensing can address some of these challenges and would provide an exceptional complement to passive observations. This session welcomes: examples of current and new active technologies (in situ, ship-based, airborne, and satellite); applications of lidar techniques to retrieve ocean surface properties and profiles of physical, optical, and biogeochemical parameters; or active applications with synergies to passive remote sensors and/or in situ measurements from ships or Bio-Argo profilers. Marine, coastal, and inland waters provide a range of societal benefits including food and water supply, economic support, and ecosystem biodiversity and productivity. However, these resources are increasingly stressed due to natural and anthropogenic factors. Remote sensing from ground-based, airborne, and satellite platforms offers a unique perspective on the world’s water bodies, with the ability to assess quality, safety, and change at improved temporal resolutions, and at scales that extend from inland waters to the open ocean.Active and passive sensors with improved radiometric performance and spatial, spectral, and temporal resolutions open up possibilities for detailed quantitative understanding of various physical and/or biogeochemical processes. Recent and future advances in remote sensing include instrumentation as well as algorithm development, synergies, and applications. We welcome submissions illustrating innovative methods of processing or applying remotely sensed data that highlight benefits to society. These include measuring and monitoring water quality, food security, ecosystem biodiversity and productivity, and physical properties (e.g. : wind, salinity, and currents). Topics such as atmospheric correction, algorithm design, object detection, bio-optical modelling of optically complex waters, and generation of tools and data products best suited to end-users for effective management of water/marine resources are encouraged. Water is an increasingly threatened resource, particularly the quality of coastal and inland waters due to population growth, urbanization, and climate change. Further, the interfacial nature of the coastal zone, bridging aquatic, terrestrial, atmospheric, and anthropogenic domains, means they are significantly impacted by dynamic and complex processes. Timely, accurate, and consistent scientific-based assessments, monitoring and forecasting of water quality are crucial across global, regional, and local scales. This session solicits contributions addressing the end-to-end value chain for coastal and inland water quality. This includes new and improved physical, biogeochemical, and ecological observations and data products (remote and in situ), data assimilation and forecasts, and synergistic generation of fit for purpose water quality products and indicators to provide integrated information for water quality managers and other stakeholders. In particular, developmental and operational activities that couple products and indicators (from observations, models etc.) across the land-water interface are solicited, as are information delivery systems and decision making tools to enhance user knowledge. This session advances the goals and objectives of the international AquaWatch Initiative, being developed under the auspices of the Group for Earth Observations, particularly development of water quality monitoring and forecasting service(s) in developed and developing nations. This is an excellent teaching resource that will provide students with a fundamental knowledge of ocean optics and optical sensor technology necessary to make quality measurements, and be able to assess the uncertainties associated with the measurements, and compare these data with remotely sensed ocean colour measurements and derived products. Several new publications have been added to the IOCCG Recent References list including a paper by Eleveld et al. (2017) entitled “An Optical Classification Tool for Global Lake Waters“. The authors brought together field data from Europe, the USA and P.R. China that had been collected by partners and advisers of the EU Global Lakes Sentinel Services (GLaSS) project. Cluster analyses on these datasets were used to develop two variants of a water type classification: one based on normalised spectral reflectance focusing on spectral shape, and one that retains magnitude with no modification to the reflectance signal. Our Optical Water Types tool maps the water type of the class spectrum that matches the remotely-sensed spectrum best. The tool is available in SNAP for testing on ENVISAT MERIS (Apr 2002 – Apr 2012) or the new Sentinel-3 OLCI data, in preparation for the uptake of lake colour in Earth systems science and global modelling. Visualization of the method (click to enlarge). Another new publication is a book edited by Mishra, Ogashawara and Gitelson entitled “Bio-optical Modeling and Remote Sensing of Inland Waters “. 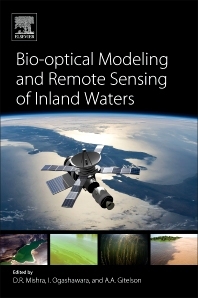 The book presents the latest developments, state-of-the-art, and future perspectives of bio-optical modeling for each optically active component of inland waters, providing a broad range of applications of water quality monitoring using remote sensing. Rather than discussing optical radiometry theories, the authors explore the applications of these theories to inland aquatic environments. The book not only covers applications, but also discusses new possibilities, making the bio-optical theories operational, a concept that is of great interest to both government and private sector organizations. Early chapters introduce the concepts of bio-optical modeling and the classification of bio-optical models and satellite capabilities both in existence and in development. Later chapters target specific optically active components (OACs) for inland waters and present the current status and future direction of bio-optical modeling for the OACs. Concluding sections provide an overview of a governance strategy for global monitoring of inland waters based on earth observation and bio-optical modeling. For more information, click on the book cover to the right to view the various chapters, or read the abstracts of each chapters on ScienceDirect. 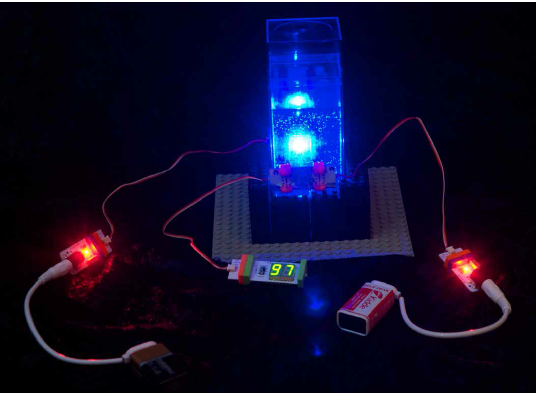 An interesting “hands-on oceanography” publication by Stephanie Schollaert Uz (2016) provides an excellent teaching resource to explain and visualize key concepts in ocean colour science. The paper entitled “Building Intuition for In-Water Optics and Ocean Color Remote Sensing” investigates optical properties of water using a simple, hand-made spectrophotometer, demonstrating how the different constituents in water affect transmission, absorption, and scattering of different colours in the visible light spectrum. In the second part of the paper, the principles of ocean colour remote sensing are applied to measure reflectance, showing how ocean colour is used to estimate the concentration of chlorophyll to infer phytoplankton abundance, colored dissolved organic matter, and suspended sediments. Several new employment positions have been posted on the IOCCG website including two post-doc positions at the Jet Propulsion Laboratory, USA, two research scientist positions in the School of Marine Sciences at Nanjing University of Information Science & Technology (NUIST), China, a tenure track RS position at the University of Zürich, Switzerland, and a research participation training opportunity at the U.S. Environmental Protection Agency’s (EPA) Office of Research and Development (ORD)/National Exposure Research Laboratory (NERL) in Durham, North Carolina. For further details on these, and other employment opportunities, see the IOCCG Employment Opportunities.